SDA to Organize Carats – Surat Diamond Expo.Surat Diamond Association (SDA) is organizing the “CARATS – Surat Diamond Expo” in July this year. The platform is an exclusive showcase of loose diamonds. It is meant to encourage SME’s in the diamond industry and boost B2B transactions through networking between the small and big players. The event is slated between July 10-12 in Surat. SDA cites this platform to be an opportunity to source new suppliers with portfolios of natural loose diamonds and diamonds like rose cut, polki , natural fancy colored etc. Surat Diamond Association President Babu Bhai N Gujarati and Mr. Gourav Sethi, Exhibition Convenor and Board Member spoke of the constant efforts undertaken by SDA to help the diamond industry to grow and maintain a leading position in the world. The city of Surat is well connected with major rail, road and Air routes, which will be an advantage, and is the hub of diamond cutting and polishing in India and the world. The exhibition is expected to see around 10,000 global visitors, operators of retail and wholesale trade, distributors, importers and exporters. 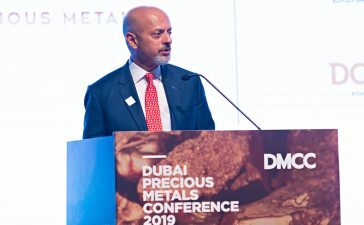 Mr. Gourav Sethi mentioned Mr. Martin Rapaport will visit the event and will attend the one hour workshop/conference on 10th July presenting his insights into the present and future of the diamond industry. SDA is promoting the event through tie-ups with magazines, newspapers for event related news. It has sent e-newsletters to around 80,000 individuals of the sector, globally. Also, a‘Hosted Buyer Program’ is designed for buyers to avail 1 night complimentary stay in a 3-star hotel including breakfast. All major trade organizations in India and abroad have been invited. To address security concerns, SDA has mandated the original Aadhaar card be presented when entering For visitors, SDA has maintained free registration until June 30th through its website although on spot registration will be chargeable.